Lozhkyn set to make Ukraine investors's mecca. 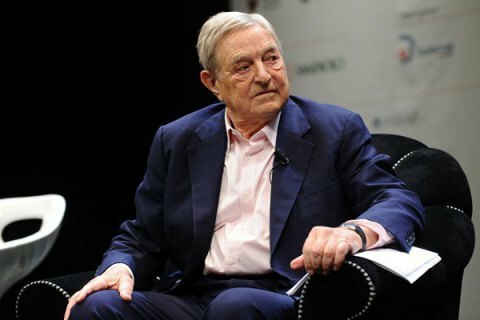 US investor anв philanthropist George Soros, Unilever's CEO Paul Polman and the Azerbaijani SOCAR management are amojng those, who gave preliminary consent to participate in the National Investment Council of Ukraine, said the Council's secretary Borys Lozhkyn, who has resigned as head of the Presidential Administration to tackle the drawing of investment in Ukraine. "Someone out there wrote that Lozhkyn has tired. Au contraire, I am eager to get involved into a great investment job and set to work to make sure that Ukraine becomes a mecca for foreign investments." - Lozhkyn said on 29 August. President Petro Poroshenko also confirmed that "Lozhkyn is not tired, is not going anywhere and everything is exactly the opposite." The National Investment Council is an advisory body to the president of Ukraine, created in 2014 in place of the Council of Domestic and Foreign Investors.